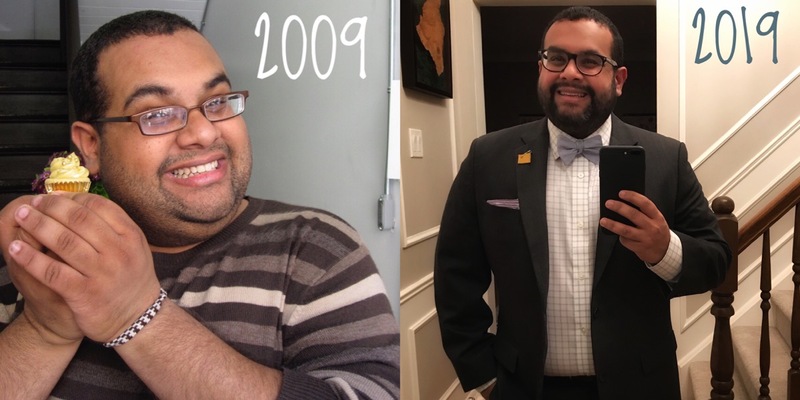 I’ve noticed a lot of people posting the #10YearChallenge on Twitter—I think it began on Facebook?—highlighting what they looked like in 2009 and what they look like today, in 2019. This morning, I woke up and realized that ten years ago, exactly to this day, I moved to Washington DC. The reason for my move stemmed from a promise to move to DC if Barack Obama won the presidency, coupled with a new job in the District, along with a desire for some change in my life. Ten years ago, I took possession of my small apartment in Northern Virginia, looking out at the Key Bridge, and I began a new adventure in my life. A lot can change in a decade. In 2009, the world was a different place, and I was a different person. The country, and the world, felt like it was bursting with unbridled optimism—we may not have always agreed with the new President’s policy positions, but at least we knew he was coming from a place of hope and grace. My personal life was in flux as I grappled with a new home and new city and new friends and a complicated relationship with a person, with my body, and with myself. On the flip side: personally, I have grown so much. I got to do excellent work while I lived in DC, and I met some of the people I now hold dearest in my life while I was there, but in the past decade, I have found a peace and solace with myself that I never could have imagined back then. I am married to an incredible woman that I hadn’t met at that time, and we have a beautiful home and a delightful cat and we live lives full of beauty and grace and adventure and reflection. I have found work in the public service that aligns with my values, ideals, hopes, and dreams: I get to help build a public service that is focused on inclusion, welcoming, justice, and equity, and I spend my days engaging with and supporting people who truly care about making the world a better place. I am involved in community organizations that make an impact locally and across the country. Most importantly, I have found peace with who I am, a peace that alluded me ten years ago. So many things can change over a decade. My submission to the #10YearChallenge today comes from a recognition that exactly ten years ago, I entered my apartment in DC not fully knowing what I was doing, knowing who I was—and that I have emerged, ten years later, to be sitting by the window with my cat, watching the snow-covered trees while I sip a cup of tea, knowing that who I am now is okay, is enough.